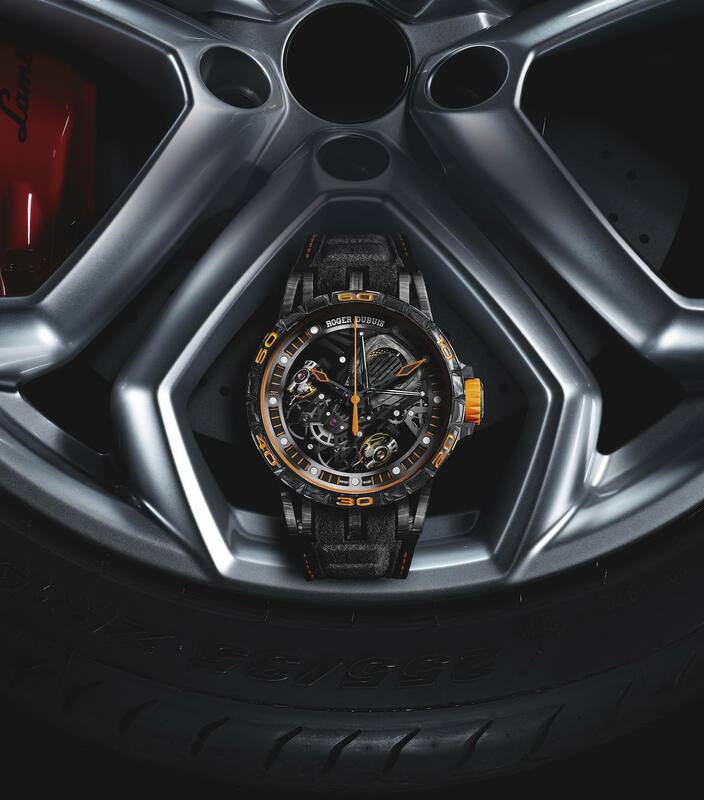 Avant-garde, performances, precision and sophistication, here are the Lamborghini and Roger Dubuis’s common qualities. 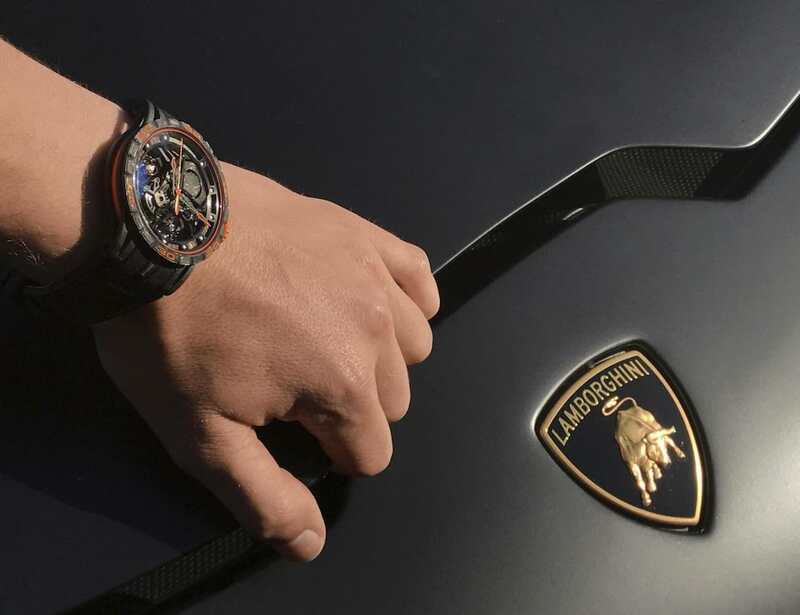 So they naturally worked together to give birth to an exceptional piece declined in two watches: Excalibur Aventador S.
As charismatic as the supercar, Excalibur Aventador S aims to become as rare because the two models will be produced at 8 and 88 limited watches. 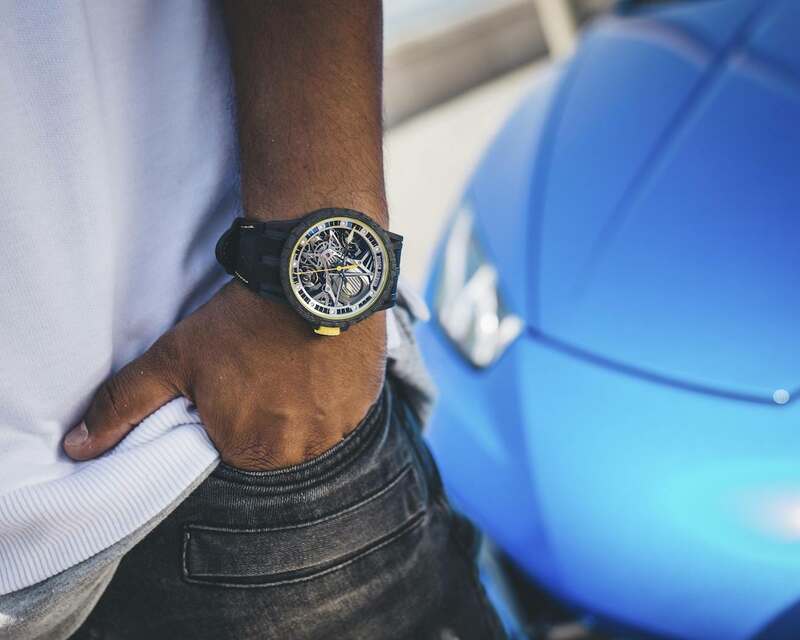 During the model’s presentation at the beginning of September the two brands have announced a condense of strong sensations all gathered at your wrist and have revealed two watches with unparalleled style, if it’s the two supercars they represent. 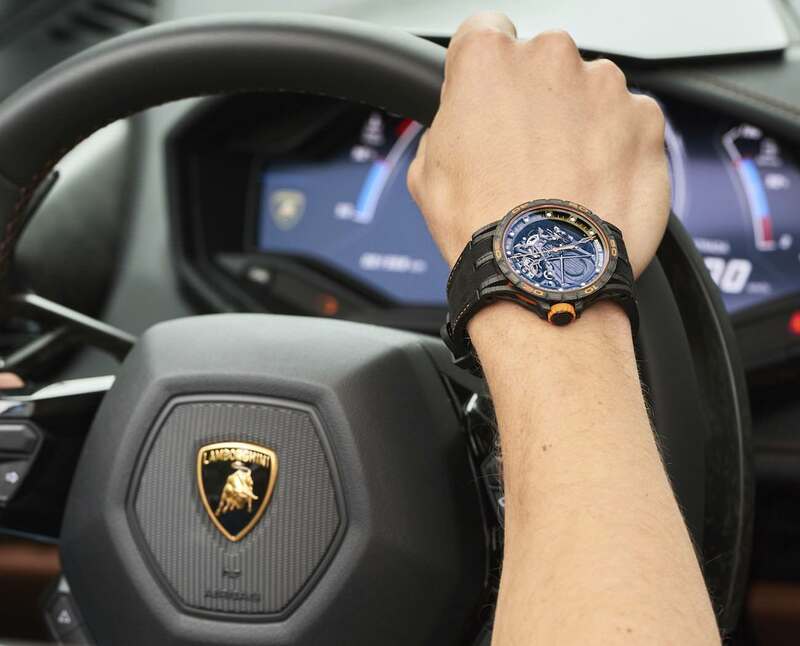 Driving a Lamborghini is as exciting as wearing an Excalibur Aventador S in terms of strong sensations. 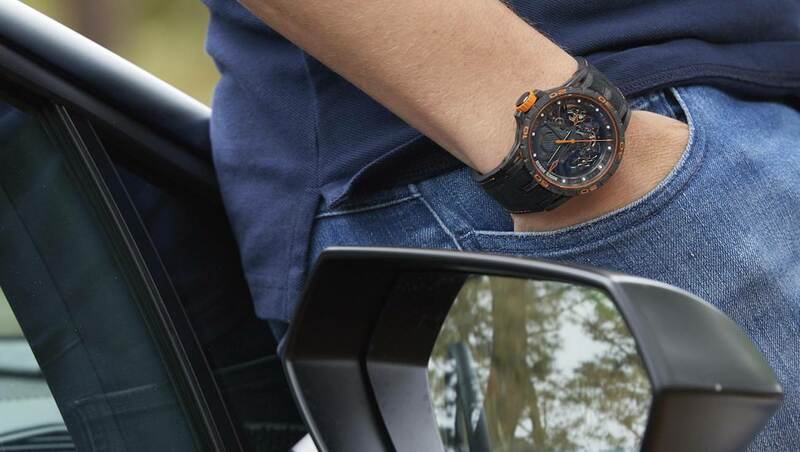 Each model uses the same first-choice materials used for the two-model cars and more precisely multi-layer carbon and C-SMC carbon. 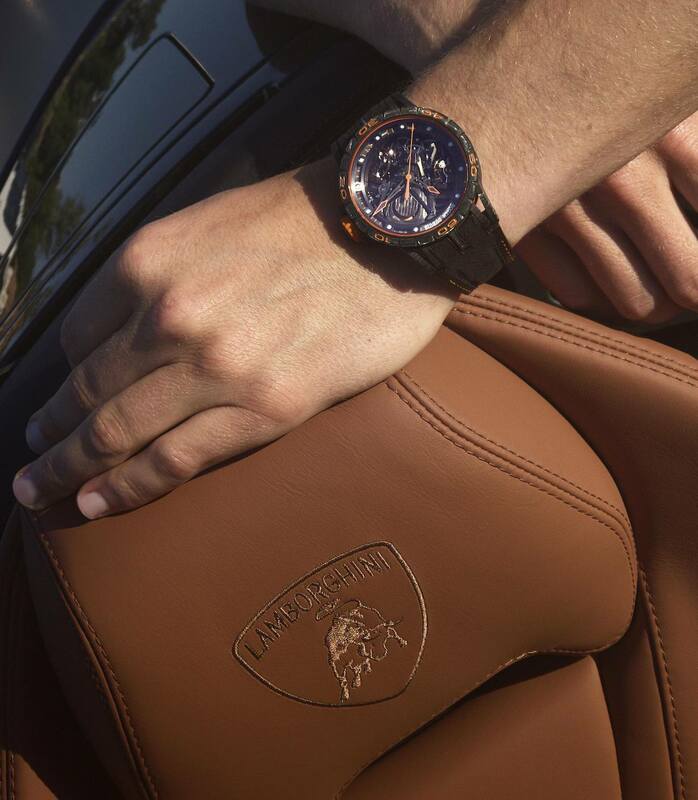 Concerning the dial covered with sapphire glass, it showcases orange or yellow tones depending on the chosen model. 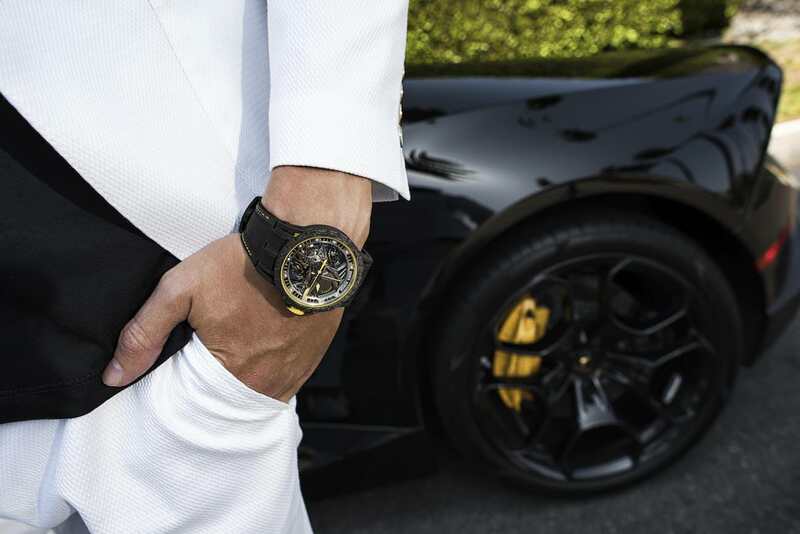 Sport and luxury are then merging thanks to Excalibur Aventador S that keeps all Roger Dubuis’s sophistication. 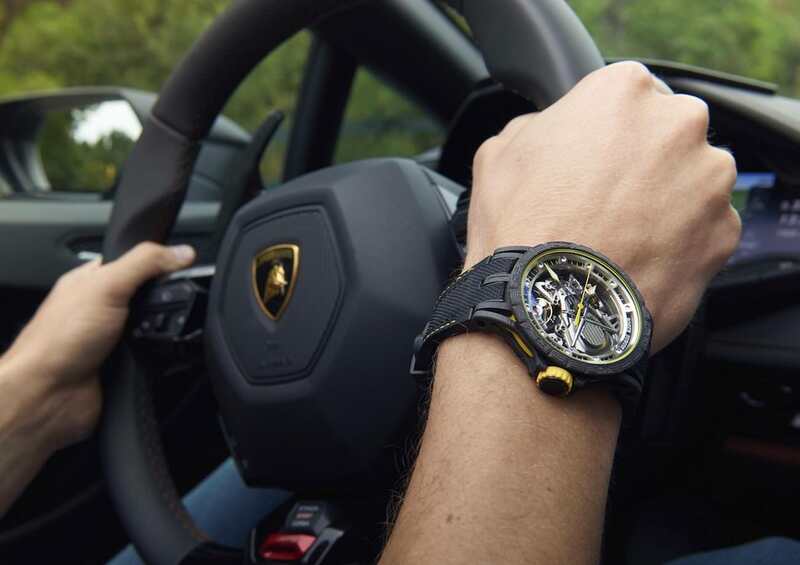 Proud of its signature “Powered by Raging Mechanics”, the watch’s engine appears to be as performing as the Aventador S engine: a complex Duotor equipped with roll bars with amazing contrast that reminds automotive engines hidden under transparent bonnets. Using the same longitudinal construction as Lamborghini’s engines, Excalibur Aventador S’s Duotor is adapted to aerodynamic design with an inclined balance wheel supported by triangle suspensions. 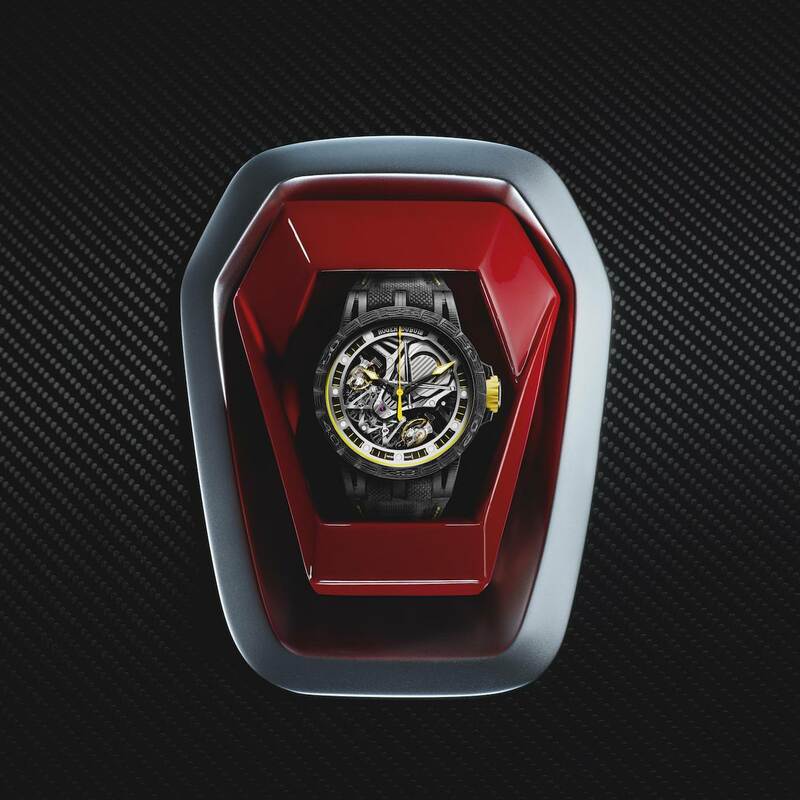 The two watches are baptised “Giallo Orion” concerning the 88 limited watches and “Arancio Argos” for the 8 limited watches. Ready, set, go! 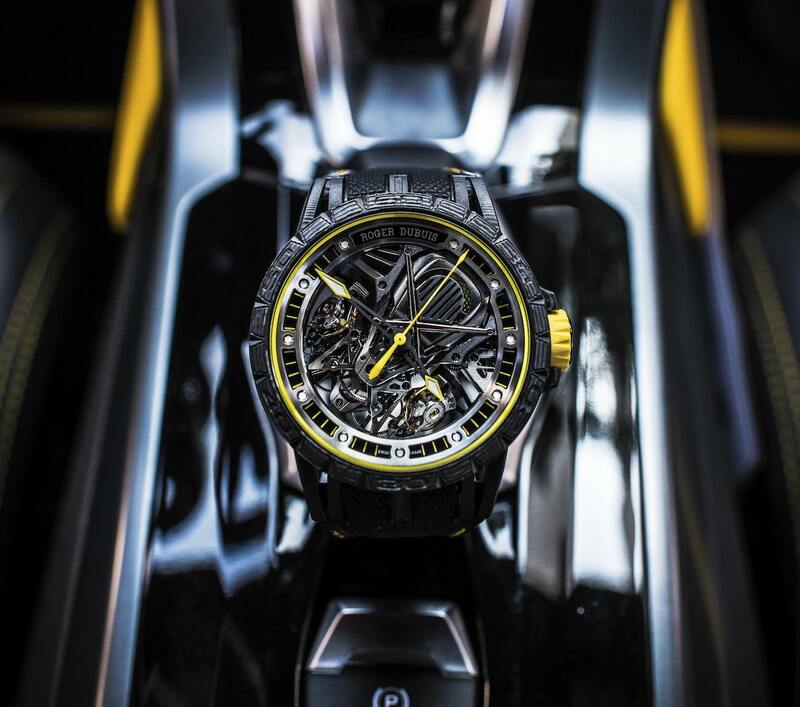 Share the post "Roger Dubuis celebrates its first automotive collaboration with the Excalibur Aventador S"